This was a yummy little concoction I made tonight, and it was so good, I thought I'd post it up for you all to enjoy! 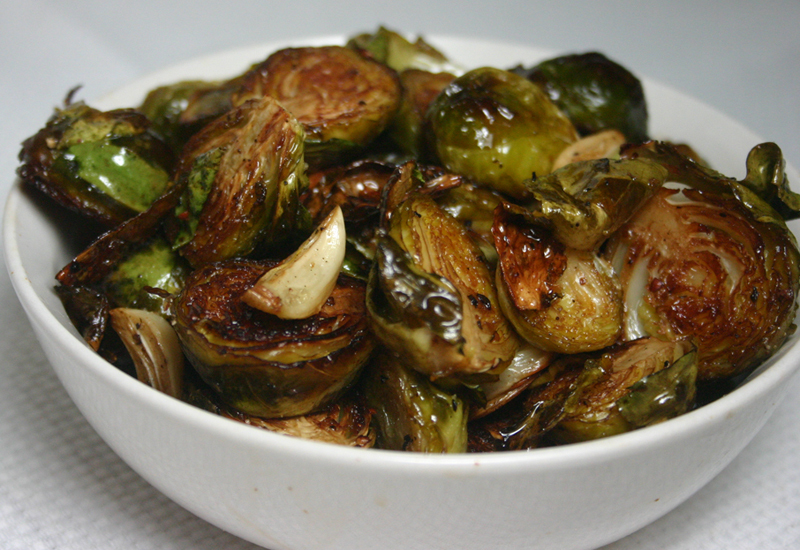 I found this basic Roasted Brussels Sprout recipe (thanks Barefoot Contessa)... I decided to kick it up a notch and add whole garlic cloves! Mix the sprouts and garlic in a bowl with the olive oil, salt and pepper. Pour them on a sheet pan and roast for 35 to 40 minutes, until crisp on the outside and tender on the inside. Shake the pan from time to time to brown the sprouts evenly. Sprinkle with more kosher salt, and serve immediately.